If each of your commercial relationship managers were asked to identify their top ten revenue opportunities, how would theyprioritize their lists? Would it take them minutes, hours, or days to compile? How confident would they bethat their selectionwas a true representation of the most profitable and probable opportunities? For many, the feedbackwould be something like this: “a list driven by dated half-data and half-assumptions that takes far too much effort and time to pull together, leaving its validity in question”. This is the challenge facing frontline teams at some of the world’s largest commercial banks.It’s not a lack of effort that’s hindering the ability of these teamsto strengthen customer relationships – it’s a lack of the right information being provided in a timely, comprehensive, and digestible way. Banking business models have changed, placing an unprecedented focus on driving fee-based revenues from within. Customers have changed, driving the expectation of strategic advisement versus one-off selling. And market dynamics have changed, the result of a new breed of competitors vying for market share. All of these changes create the need for a better understanding of customer performance and needs, yet few on the front lines have access to more than static monthly dashboards, dumps of uncorrelated data, and point in time reports generated by other teams. Interestingly enough, at many of the same banks where front line teams are begging for the timely insights necessary to identify and act on revenue opportunities, there’s a high degree of focus – and investment – in achieving a 360° customer view. 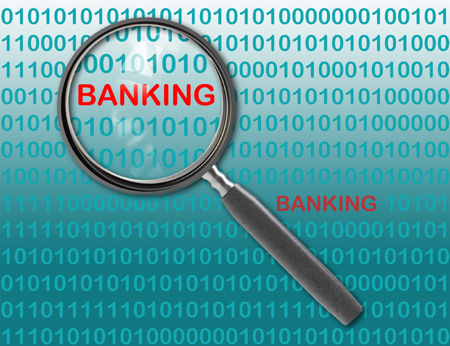 For many banks, the strategy has been defined and the data infrastructure is well underway. But with these strategies expected to take four to five years to deploy, and then another four to five years to deliver tangible results, the question is – can banks really wait that long? The ideal scenario is for all of the customer data to be hosted in one central location withdata insights continuously fed to internal teams focused on addressing specific business problems. The reality is that banks know this ‘nirvana’ may never be achieved. In addition to the integration of the data sources is the task of turning that disconnected data into something of real value, something beyond a consolidated data dump, and then automating the delivery of those insights to the right business usersin a form that is immediately actionable. On top of this monumental challenge lies the complexity of continually adapting to align to the changes in business models, customer demands, and market dynamics and the challenge is clear. Realizing that company-wide, IT-driven initiatives still have a long way to go in delivering to individual teamswhat they need in a way that they can better use it for more timely decision making, business leaders are launching functionally-driven projects in parallel. This results-driven approach flips the traditional 360° project model upside down – starting with the business problems that need to be solved, followed by the data thatis required to solve them. The goal is simple: reduce the layers between the data and the business users in order to accelerate action on the insights that matter. For relationship managers, it’s about understanding how each customer has performed, is performing, and is most likely to perform – with the goal of determining which additional products and services will optimize the customer’s business, as well as the bank’s. It’sknowing how customers compare to other customers with similar profiles and transaction patterns to identify the best path for growth. It’s identifying low hanging fruit, such as discrepancies between contracted fee schedules and actual charges, to quickly drive incremental revenues. And it’s recognizing activity that may be indicative of churn, such as a decrease in transactions or transferring of funds. What’s key is that these insights can all be derived from a subset of the banks’ data. They don’t require a compilation of every data point, across every touch point, across every customer. It’s about narrowing the focus to a 360°ish approach in order to accelerate the consolidation and analysis of the data points which are directly aligned to a customers’ purchase and loyalty decisions. This type of functional approachenables banks to plan, execute and measure the impact of big data projects in a much more agile manner. It’s not about breaking existing policies, procedures, or data flows – it’s about building a new strategy that leverages those existing assets in a simplified, self-served ‘hands-free’ manner. By partnering with third-party vendors who have comprehensive domain expertise in data aggregation, normalization, analysis, and presentation, business leaders are able to accelerate the benefit of big data visualization tools with minimal dependencies on their IT and BI teams. This partnership approach allows IT to maintain ‘business as usual’, ensuring existing operationalinitiatives and resources are not impacted while gaining the benefits of a multi-customer engineering model. In addition,leveraging a partnerenables a leap frog in the application of data and analytics technologies at a cost and risk far lower than that of an internal build.By sharing the cost of research and development across multiple vendor customers, banks are able to achieve the same – or better – results at a much lower Total Cost of Ownership. These cloud-based solutions allow for adaptation to market changes and market-wide best practices much faster than internally engineered solutions, helping to ensure the bank’s innovation is moving at the same pace as the market. In short, this 360°ish functional approach accelerates the analysis, discovery, and delivery of insights critical for impacting the bottom line – without breaking the bank, either financially or operationally. When organizations successfully execute on this challenge, they become more efficient internally, resulting in increased revenue, lower costs and improved customer retention – all of which have direct bottom line impact while becoming more competitive in the market. If your relationship managers are struggling to know where to focus their time and energy – based on what’s best for their customers and for the bank – perhaps it’s time you embracea 360°ish view of the customer. Or you could just wait another four years and see how things play out. 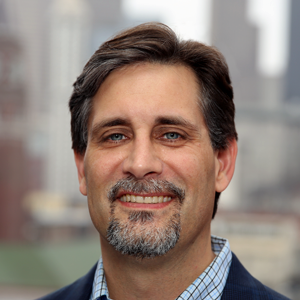 Mike Miller is the SVP of Sales & Marketing at Globys, a big data analytics company trusted by millions of business users seeking actionable insights from transaction and fee data.